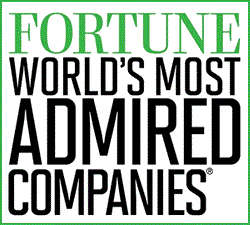 According to the latest List of World's Top Ten (10) Most Admired Companies compiles from Fortune Magazine for the Year 2013, it has been revealed that still Apple is the World's Most Admired Company of 2013 for the 6th Consecutive Year in a row by the American magazine. Apple has beaten all of its tech-giant competitors including Google, Amazon & IBM in the list. Apple has got an overall score of 8.24 with the top position, while Google is just behind it and securing second position with overall score of 8.01; on other side Amazon is holding the third position with the overall score of 7.28, while other tech company IBM holds the sixth position with the score of 7.37. 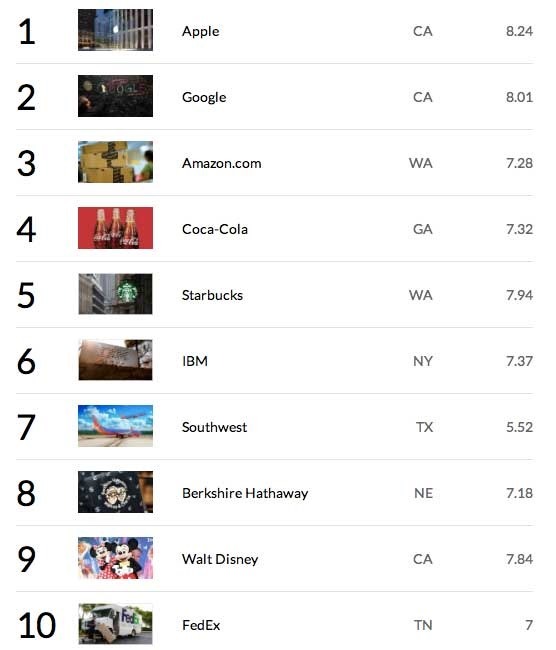 The remaining companies other than 4-tech companies which were included in the List of World's Top Ten (10) Most Admired Companies of 2013 were Coca-Cola with 7.32 score, Starbucks with 7.94 score, Southwest with 5.52 score, Berkshire Hathaway with 7.18 score, Walt Disney with 7.84 score and FedEx with 7.0 score. So let's check out the official Infographic below.